Much like the last year, I set out to visit a new city on the first day of 2016. 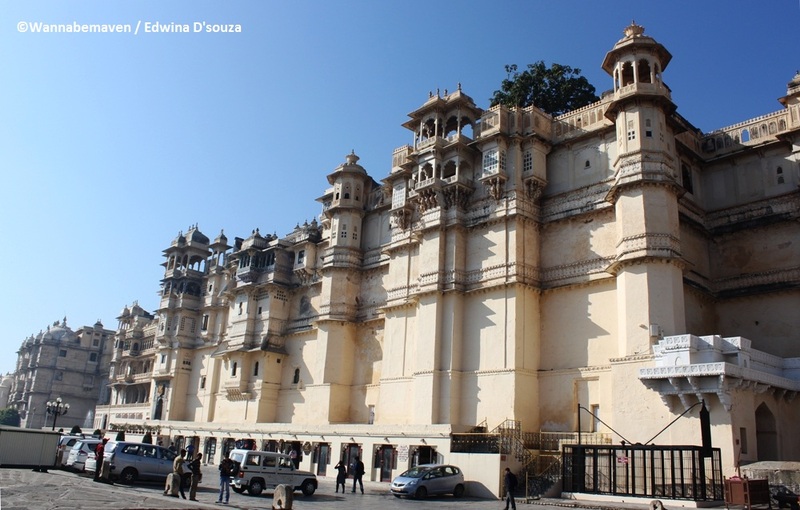 Udaipur is one of the most popular getaways in India and rings a bell for luxurious travel. It’s a big wedding destination and honeymooners seem to love this place. I, on the other hand, had other plans. The more I was travelling, the better I was getting at planning my trips. Udaipur turned out to be my first big opportunity to give budget travel a shot. I targeted a 2 nights 3 days trip to Udaipur in under 10k and much to my surprise, accomplished it in just over 8k. If you have ample days at hand, you should obviously opt for a train journey. A sleeper class ticket for a 16hr journey would cost around 500 bucks. If you want to travel more comfortably than a 3AC train ticket would cost around Rs. 1300 one way. We, as corporate slaves, didn’t have the luxury of many days, so we opted for a flight from Mumbai to Udaipur. I managed to get a direct flight on Jet Airways for a decent price after booking a month in advance. We spent absolutely nothing on accommodation as we crashed at my friend’s relatives’ place – two relatives over 2 nights. In one of the houses, we even crashed in the hall 😀 . The biggest advantage (apart from saving money) was interacting with our hosts and gaining insights on what to see and what to skip. I even got a taste of true Marwadi hospitality. Living with a Marwadi family was nothing less than a culture shock. Watching the wife not address her husband by his name, the sister calls the brother nothing but bhaiyaa and no matter how old but the dadaji is still the head of the house and commands respect. For the first time in my life, I even touched the feet of an elderly person. We’re Goans, you see. Our culture is different from theirs. And everyone for us is an uncle or aunty or cousin. There is no chacha, chachi, kaka, kaki, bade dadaji, chote nanaji. The oldest member in both the Marwadi households even gifted me a sum of money before leaving, as a blessing. This was, undoubtedly, one of the most culturally enriching experiences in my travels. If you have no relatives or friends or friends’ relatives in Udaipur, there are other cheap stay options too. Zostel is a travel backpacker’s hostel in Udaipur and was supposed to be my back up plan just in case we were unable to crash at my friend’s relative’s place. A dorm style room at Zostel should easily cost between Rs. 500 and Rs. 800 per night. They have ladies only dorms and private rooms as well. The star attraction of Udaipur is the City Palace, built by Maharana Udai Singh in 1559, that overlooks the Lake Pichola. Entrance to the palace was Rs. 250 and you can spend a good 3-4 hours here. We skipped the Crystal Gallery adjoining City Palace, although if you have time, do check it out (additional charge). In the evening, we took the ropeway to visit the Karni Mata temple (cost Rs. 81). By the time we reached the mountain top, it was dark and we had a beautiful view of Udaipur at night with shimmering city lights on a windy evening. 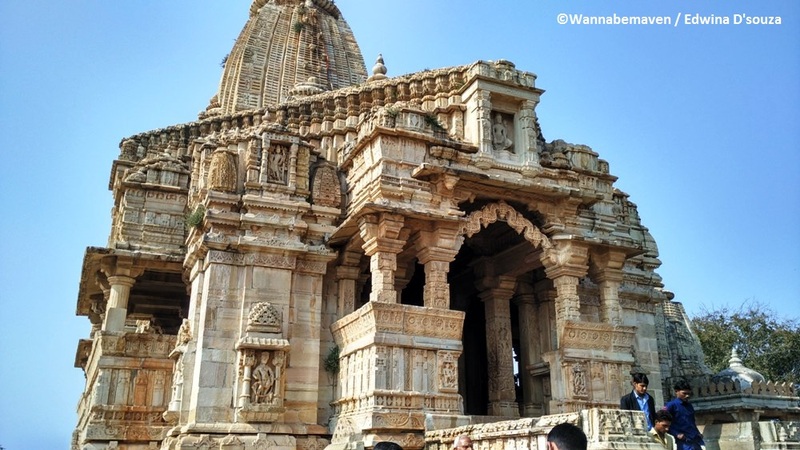 The next day, we headed to Chittorgarh Fort, 120km from Udaipur. Entry to the fort was Rs. 10. We spent the entire day exploring the ruins at Chittorgarh fort, distinguished as India’s largest fort. On day 3, we visited Saheliyon ki Bari (entrance Rs. 20). Saheliyo ki Bari was built in 1710 by Rana Sangram Singh for his Queen and forty other maids so they could hang out in the gardens amidst greenery. 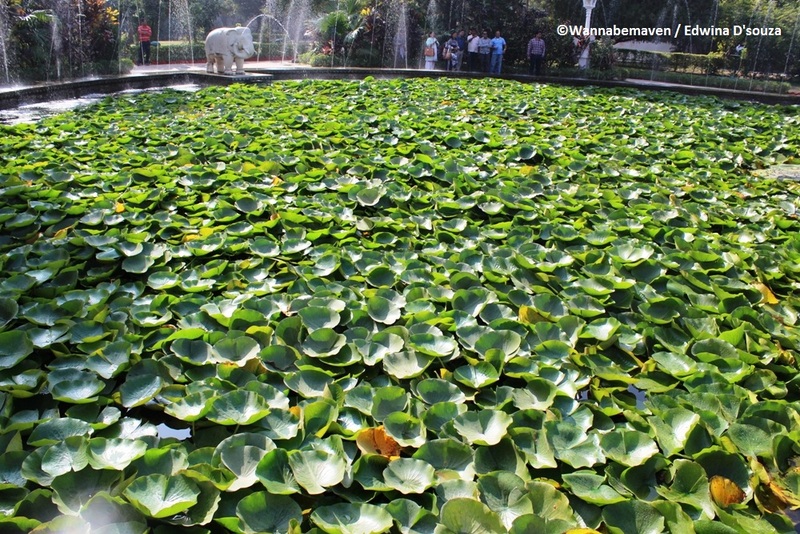 The highlight of Saheliyon ki Bari is a huge lotus pond where we spent most of our time. We then visited Moti Magri (entrance Rs. 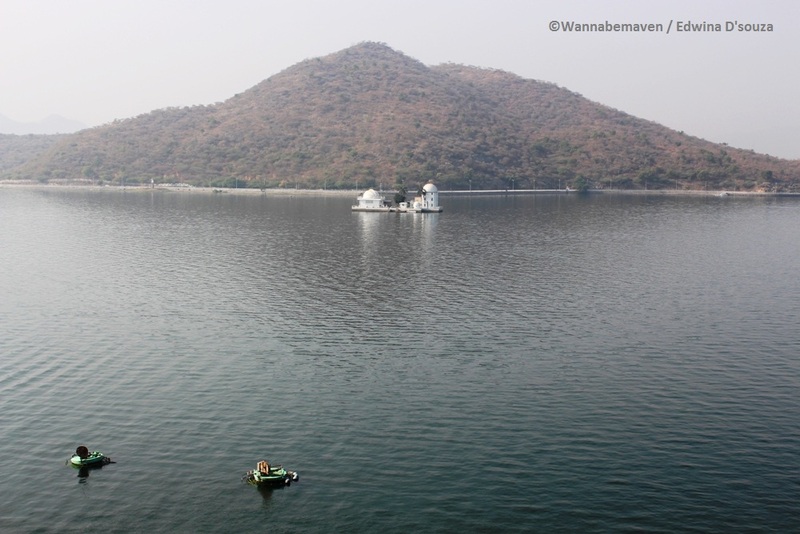 50) that overlooks the Fatehsagar Lake and offers a spectacular view of the landscape. Moti Magri has a memorial of Maharana Pratap Singh and his favourite horse, Chetak. One can take a long walk along the Fatehsagar Lake promenade later and enjoy street food at the many stalls or go boating. The most expense incurred was during airport transfers. The Rajasthan State Transport bus from Udaipur to Chittorgarh was a total of Rs. 285 after a 30% discount for women travelers. Yes! They do that 😀 . In Chittorgarh, we struck a deal with a rickshaw to tour us at the fort for the entire day for Rs. 400. At the fort, we hired a separate guide who travelled with us from point to point for Rs. 300. Our guide turned out to be a professional photographer and I could see his hands itch to click us, tourists. 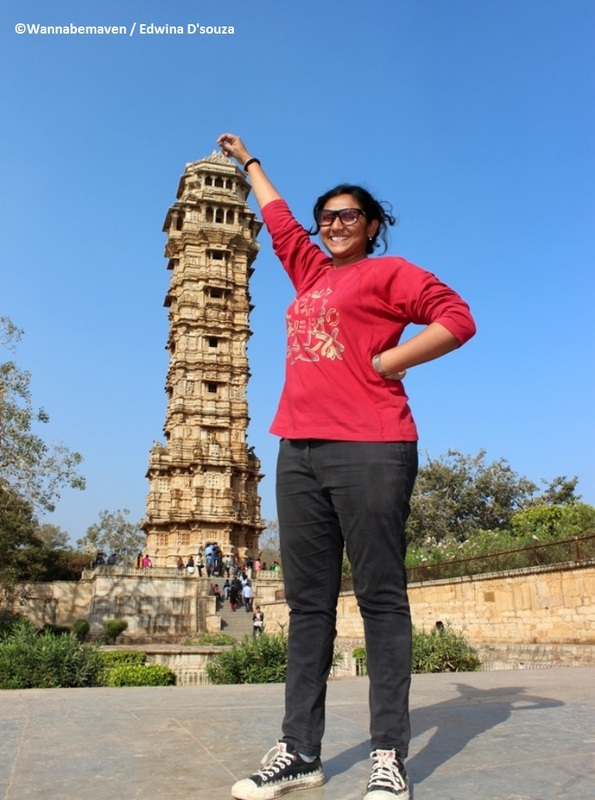 We obliged and got some fun shots at the Vijay Stambh at Chittorgarh fort and tipped him an additional Rs. 30 for some memorable photographs. The same rickshaw dropped us back to the bus stand from where we took a non AC bus back to Udaipur (Rs. 160 for the two of us). The rickshaw expenses to visit attractions in Udaipur on Day 1 and Day 3 was approximately Rs. 500. Since we were two of us, the total expense was split here. During the day we roamed around Udaipur city, so our lunches were mostly out. Dinners used to be at home with our hosts. Lunch, snacks, tea and miscellaneous expenses for the whole trip went to Rs. 1100. This included purchasing some Gajak (traditional sweet) from Udaipur for our folks back home. The flight tickets from Udaipur to Mumbai were quite expensive on my chosen date. So we decided to take a night bus from Udaipur to Ahmadabad and then fly down to Mumbai, next morning. The bus dropped us off a kilometer away from the Ahmadabad airport and we walked the distance at 3am for the experience. Our flight from Ahmadabad to Mumbai was at 5:35am and we touched down at 6:45am, well in time to head back to our work monotony. Solo Travel is liberating but can be expensive. If you can find someone to travel with, expenses like food, transport and accommodation can be shared and the burden reduced. Of course, travelling with the right kind of person who matches your style of travel is as much important. 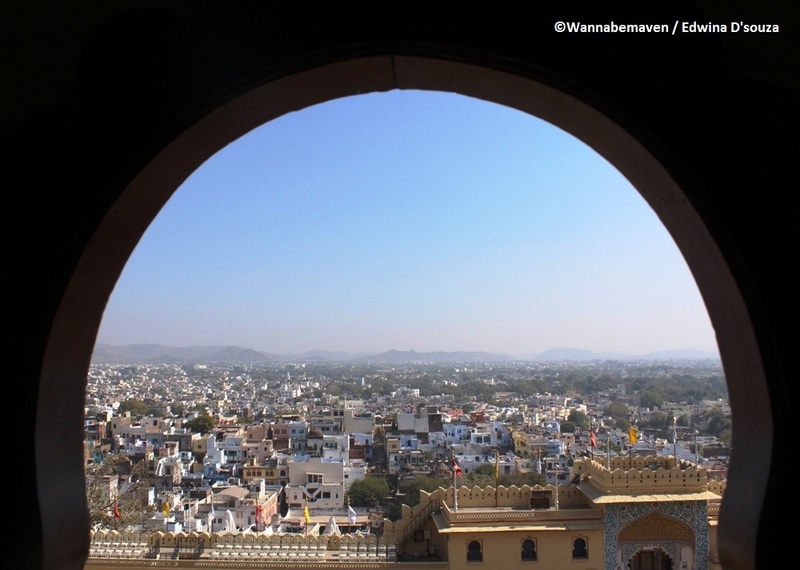 Udaipur is a tourist hub so your bargaining skills will have to be sharp. A big way to save money is by ditching a private vehicle and travelling in buses and rickshaws. Of course, you have to bargain there as well. There are no meter systems in rickshaws and they quote two to three times more. Club two-three attractions in the same area and then walk it out to save cash. For example: we took a rickshaw to Moti Magri and then walked down to Fatehsagar Lake. In the same way, the City Palace can be clubbed with Jagdish Temple, Ganghori Ghat and Bagore ki Haveli museum. 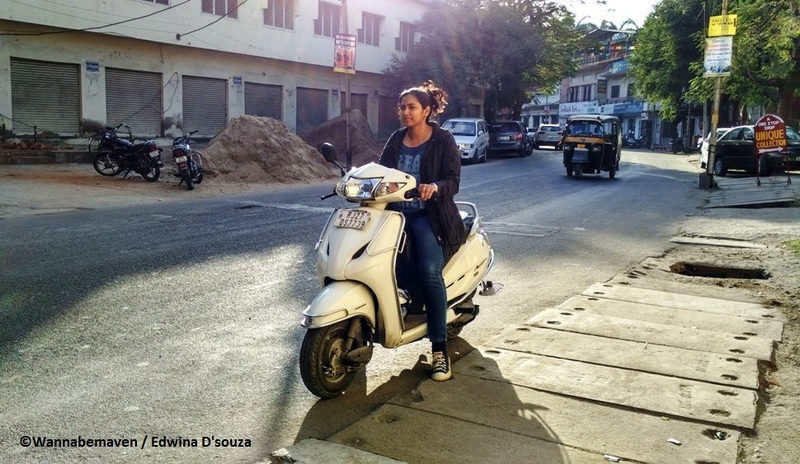 What to do in Ahmadabad in a few hours? Subscribe to this blog to receive my monthly newsletter with cool travel stories and updates in your inbox. Budget Travel, City Travel Guide, Indian tourist destinations, Travel, Travel Tips, Udaipur. Bookmark. Thanks Edwina for sharing such amazing pictures. It refreshed my memories when I was there.. Well, It was a 2 day trip of mine but still i was able to explore as much as i can. 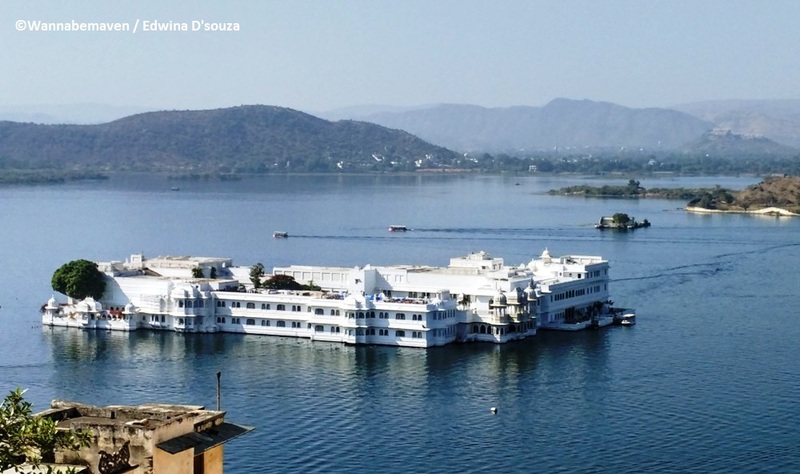 Thanks to padharo udaipur app from which i was able to search places and book hotels. Keep sharing pictures, I truly loved your blog ad the description. This topic is very well written should have read this before. 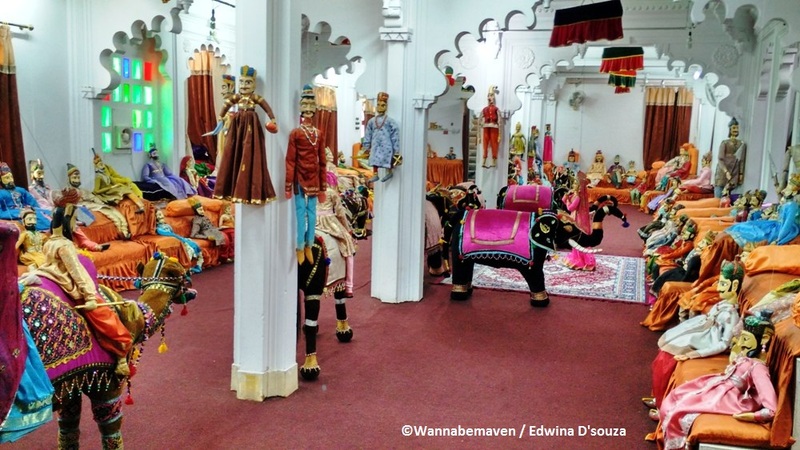 We recently went to udaipur and it was an unforgettable experience . Man those lakes at sunset are awesome , royalty defines itself in every street n corner . we attended many colorful events through Padharo udaipur App , mewari cuisine / rajasthani dishes were mouth watering . Could you recommend budget and unique places to stay there? Would love to get your thoughts on this.